Encore! Outside the Box Ty Bollinger, Carnivora’s Richard Ostrow, cancer cures, Roy Dittman’s Brighton Baby, Chris Barr, Mike Adams & more! Encore! The Robert Scott Bell Show December 29, 2013 Did you miss today’s broadcast? Click here to download and listen now! Sunday on The Robert Scott Bell Show 1-3PM EDT: Ty Bollinger is in NYC to see why Mayor Bloomberg wants to mandate flu shots for all kids attending daycare there! Richard Ostrow joins us to talk about Carnivora. 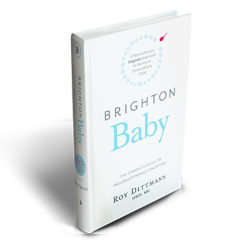 Roy Dittman is back to discuss Brighton Baby! Plus Chris Barr returns on the anniversary of our favorite scientist, Antoine BeChamp! Mike Adams joins us for breaking news on the banking system! Call 1-866-939-2355 with your questions or comments! Nutritional historian Chris Barr drops in to talk about our favorite scientist, Antoine Bechamp on the anniversary of his birth! Most doctors still don’t know about him as they mistakenly buy the germ theory crap that was fomented due to Pastuer. We have Marxist socialism in league with Big Pharma’s evilution … 1850s ‘Origin of the Species’ (or ‘Specious’ in reality) and ‘Das Kapital’ vs. Bechamp’s first publications in 1850s simultaneous stone and misapplied by Pasteur. We’ll instead celebrate Bechamp and the Law of the Terrain! Would you like to know about a revolutionary, organic approach to having an extraordinary child? Roy Dittmann, OMD, MH has dedicated his professional life to evolving an integral organic approach to prevent birth defects and optimize fetal brain development during the perinatal period – the most powerful time to impact human development. Dr. Dittmann’s interest in perinatal health began early in life. As a 10 year old, he saw up-close the devastating effects of pesticides on the children of exposed migrant farm workers in California’s central valley. This experience so impressed him that he committed his life to finding solutions for preventing birth defects. Aspiring to integrate the perinatal wisdom in these cultures with modern trends in reproductive medicine and perinatal research, Dr. Dittmann developed The Brighton Method to provide couples with practical solutions for realizing their goal of having an extraordinary child. In addition, he consulted with the Chinese and Romanian Ministers of Health, as well as Ukrainian Health Ministry officials on the creation of their perinatal programs. Since earning his doctorate in Oriental Medicine and his masters in Herbology, Dr. Dittmann served as Official Team Doctor in the Olympics, and was featured in a “Doctor to the Stars” article in Vogue magazine in 1997. Dr. Dittmann is the father of four, including a son diagnosed at the age of five with Asperger’s Syndrome and Sensory Integration Disorder (now referred to as an Autism Spectral Disorder or ASD). Dittmann oversaw his son’s health and succeeded in resolving his son’s condition within six years. As early as the late-1980s, Dr. Dittmann forewarned health professionals and the public that our existing diet and lifestyle trends would lead to an exponential rise in autism, ADD, birth defects, and infertility. His Brighton Baby book series is designed to coach couples on how to reverse these trends and conceive, birth, and raise extraordinary children… organically. Find out more about Dr. Dittmann and Brighton Baby in Brighton Baby Book One: The Complete Guide to Preconception & Conception. kids thanks to the good heart of Mayor Bloomberg. I wonder what happens if the EBT cards don’t work on Manahattan Isle, much less the rest of the country? Are you prepared for food riots? No amount of GMO Girl Scout cookies will be able to quench that hunger! How about Science abandoned? Did you know that new cancer drugs now being allowed to skip clinical trials? Plus, Ty brings us a special interview with Richard Ostrow about Carnivora! And don’t forget to remember the superfood of superfoods: Zija Moringa. Click here to get some and work with Ty and his team! Get ready for Ty and RSB as they go way Outside the Box! Ty’s websites include www.CancerTruth.net and www.SurvivalHerbs.com. Would you like to “Work With your Doctor” – Ty’s new book with Dr. Michael Farley at is on sale! Wednesday, January 15, 2014, Long Island, NY with Ty Bollinger and RSB TBA in Suffolk County, Long Island at 7PM EST! Also, MASSAPEQUA here we come … Broadcasting Live at Organic Corner Jan. 15th, 2014, 3-5PM !! !